Current RMS will be exhibiting its cloud based rental management software once again at the Showman’s Show this October. Visitors to its stand will have the opportunity to catch up with the team and learn the benefits of moving their business to the cloud. 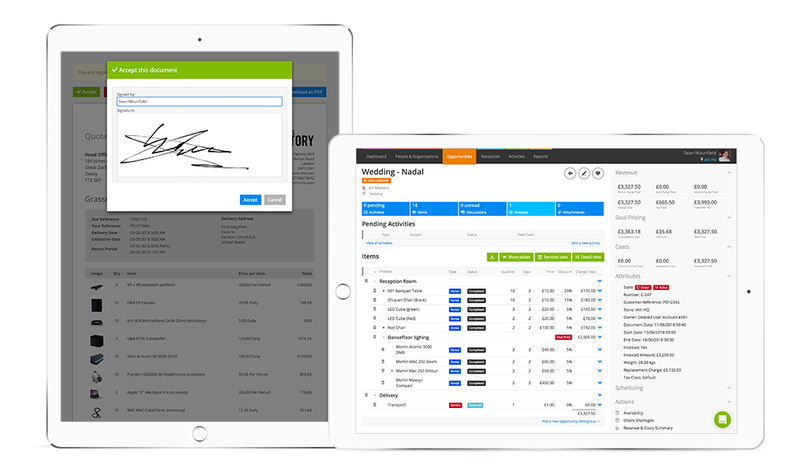 Current’s rental management software allows users to log into their system any time, anywhere and from any device, giving those in the events industry the flexibility they need to access their jobs on the go. Create beautiful customised documents, quote with confidence with accurate product availability at your fingertips, and allocate your crew, transport and venues from one central location. The Current RMS team are also frequently updating the software to cater for the needs of the events industry. Earlier this year, the team released Do a Deal, which allows users to apply an overall deal price straight to a job or to groups of products on a job. This is extremely handy for neatening the charge total of a job to make for friendlier quotations, and has been met with enthusiasm by lots of event rental businesses already using Current RMS. Another new feature to be demonstrated at the show includes Global Check-in, where you can check products back into your warehouse all from one screen, even if they’re returning from different jobs, making the check-in process even smoother. You can find the team in the Exhibition Hall during the show, where they will be demonstrating the features of the company’s cloud based software to new faces, as well as catching up with their customers. To find out more, ​sign up for a free 30 day trial​ of Current RMS.